According to a BBC report, France has laid claim to a 17th Century painting displayed by a London gallery, the Weiss Gallery, at an art fair in Paris. 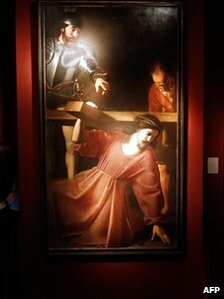 The painting in dispute is a Nicolas Tournier’s The Carrying of the Cross which was purchased in 2010 for 400,000 euros ($550,000) at the Maastricht art fair. The French government alleges it stolen for nearly 200 years from a chapel in Toulouse, and there is an export ban on the work to stop it from leaving the country. The painting disappeared in 1818. It resurfaced two years ago in Italy during the sale of an estate of a wealthy Florence art collector. The case is unlikely to settle (quickly). Next Next post: Artifact Case Ends in Probation Order, Lesson Learned?